With the party hedgehogs! So, a couple of weeks back I had the Saturday at home to myself and fancied a bit of sewing. I looked through all my books, oh which I have plenty, but nothing caught my eye. 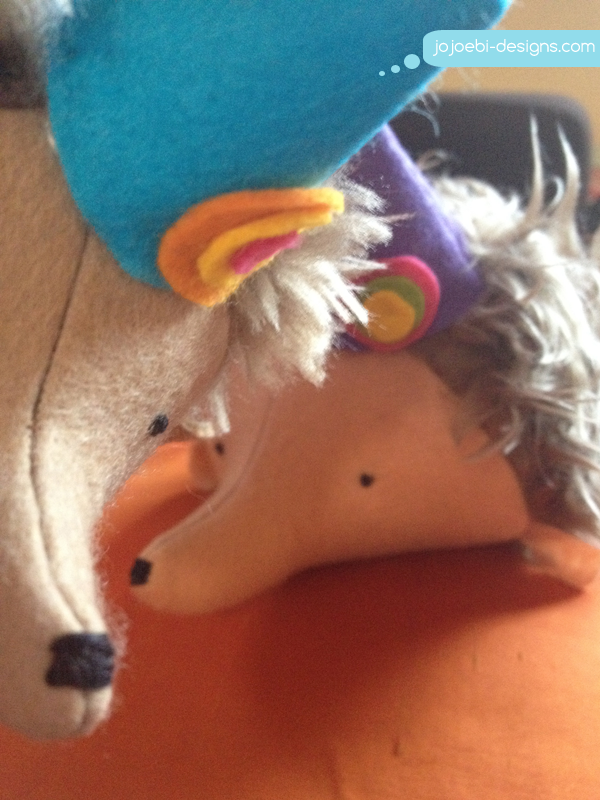 Then I remembered about Jodie's cute party hedgehogs! I knew I had the perfect fabric, some would argue it was Wookie fur not hedgehog but I disagree. The pattern is a downloadable PDF which means you print and sew! And that is what I did, popped on some Project Runway and stitched me some little party friends. 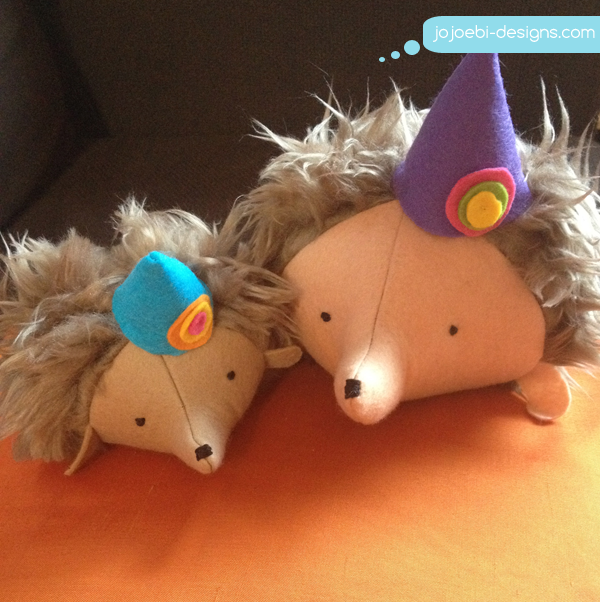 Super easy pattern, suitable for beginners, the actual pattern size is the small hedgy then I enlarged it to make mama hedgy. I know there haven't been many sewing/crafty posts recently, I do have some big news coming soon so do stay tuned! they look great, I love that furry woolie fabric. such a fun pattern to sew, I see more wee party hedges in my future!